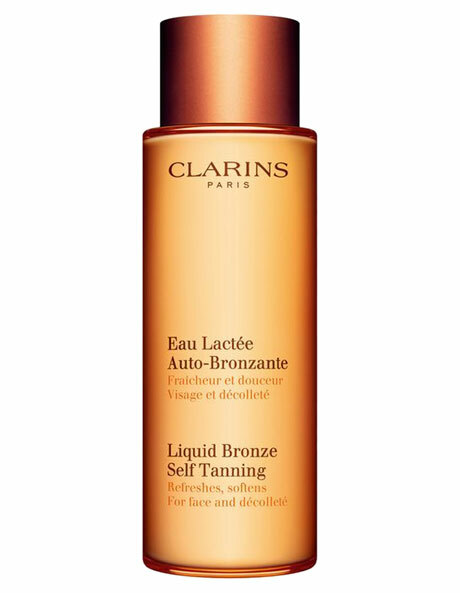 Another award winning self tanner from Clarins, this product really is liquid bronze in a bottle. Perfect for special events or when you want a healthy glow quickly. As refreshing as water and as gentle as a milk, this vitamin-packed tanner delivers colour effortlessly to face and decollete with natural-looking results, while keeping your skin soft and looking healthy. Easy-to-apply, quick drying and streak-free. How To Apply: For best results, exfoliate before using. Pour a little Liquid Bronze onto a cotton wool pad - or into the hands - and swiftly and lightly sweep over the face, neck and decollete. Avoid brows and hairline and always wash hands and nails after use. And because it's so quick to dry, you can apply your moisturiser, make-up or sun protection immediately. To adjust and intensify colour, reapply as often as you like. Colour will develop in just a couple of hours.